Now, if you haven’t seen the movie Fight Club, you should. If you happen to be one of the few human beings who hasn’t seen the movie there were only a few rules and the first two were the same rule, “You don’t talk about flight club”. Now, you may be wondering what the movie Fight Club has to do with Fly Fishing and the answer is nothing really. These thoughts I am about to let flow from my mind have mostly to do with the rule, “You don’t talk about fight club”. I think one of the very first unspoken rules most anglers learn is not to talk about local honey holes, or secluded low pressure spots. (You don’t talk about fight club.) Now, how a new angler learns this can really determine how this angler will feel about the fly fishing community as they grow into it. The thing with modern era fly fishing is a lot of us want to share our catches and experiences on social media, myself very much included obviously. I was messaged by a local guy about a year ago in a very polite manner asking me to stop naming rivers in my posts. He, was very nice in his approach and explained that as my follower count was growing I was only going to draw more people to my own local rivers. I had decided to heed his advice and aside from some extremely well known rivers in my area, I don’t drop names. But this got me thinking! While this tactic may save my rivers a little from new anglers and out of the region pressure it does not promote growth in the sport of fly fishing. When I was getting started I know I would spend more time than I would like to admit looking at people’s photos on Instagram trying to figure out exactly where they were taken as I wanted to be on the fish! Now, I understand that people need to pay their dues, putting in some hours out on the water finding their own spots, but does this rule hurt the sport as a whole? Or maybe it’s one of the factors that helps keep it alive. I am kind of on the fence when it comes to which side I am on. For myself, there was no doubt I was going to find those spots that no one would tell me about. I even hiked the extra kilometers to find holes and pools some people had never seen. But that’s me, I am obsessed. Would the average weekend warrior put in those hours of exploration carrying their rod into the woods maybe to only snap the tip off on a tree and never find a pool, I doubt it. But you know, I like sharing what I have found. I love knowing someone is going to enjoy that water I discovered and just maybe they are going to create a memory they will never forget. There are a few, or many unspoken rules when it comes to fly fishing depending on who you talk to. The main problem with these “rules” are they are unspoken and you usually don’t learn about them until you have broken one and someone unleashes their almighty opinion on you either in person or via the interwebs. I had this happen to me last year when someone took it upon themselves to make a demeaning and rude comment on one of my photos. 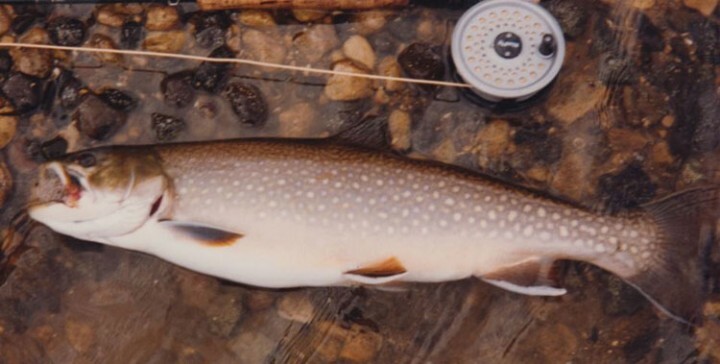 A photo I was quite proud of as at the time as it was my first big bull trout. The persons approach was not helpful in anyway, nor did it actually point out what could have been corrected. He was just there to stir the pot and make himself feel better. I was pretty bummed about the entire experience and to this day I don’t participate in that Facebook group even though it’s very local to me. I believe we are all more than happy to learn new things, or correct things we may not even be aware we are doing, but how people communicate that to you goes a long way. Someone handed me a rod, and I’d assume it was the same for you. There is only so much someone can learn from YouTube or Walden. You can’t read the way a rod feels in your hand. You can’t watch a roll cast and feel the physics come to life. And you can’t just pick up a rod and instantly become a fly fisherman. Babe Ruth didn’t pick up a bat and know how to hit home runs. Someone gave him a bat, tossed him a ball, and let him swing. They told him what he could do better. They critiqued him, they praised him, and they made him a better player. The same goes for fishermen. Someone showed me how to mend my line, not a YouTube channel. Now you may think that your spots are honored secrets, not to be shared even on your deathbed. But, I can assure you someone else knows about it, has fished it, and has shared it. I’m not telling you to give away your spots, but what I am saying is be a role model. Think about it, this is the best sport in the world. If you love fly fishing you have planned your holidays around it, your expenses around it, and I can almost guarantee you’ve planned your retirement around it. I think one of the main things everyone needs to remember is that someone took the time to teach them how to fly fish. For me it was my old man. I had watched him fly fish from time to time when I was a kid. My brother and I would spin cast until our heart’s content and the old man would swing the odd wet fly. It wasn’t until years later I asked my dad to teach me, and he did. He passed on the same knowledge that his dad has past on to him. I won’t get to deep into the crazy ideas my grandpa had with a fly rod, but you get my point. Not everyone has a dad, grandpa, or aunt to teach them. I think we all need to be willing to help teach the next generation of fly fishers without scaring them away from the sport. My dad never told me to blur the backgrounds of my photos, hide his gas station map of secret spots or keep his flies locked up in a vault. Everything I had learned from him was ready to be taught to the next person, no matter who that may be. Being out of the water provides clarity to the controlled chaos that is life. Everything just makes more sense out there on the river. The slow rolling roar of the water traversing over the rocks that have laid there for tens of thousands of years. This sound drowns out all the noises in your head and you can think clearly about what matters in life. The precision focus needed to watch a fly drift unimpeded, waiting for the strike, means you get to forget about all yours worries for that very moment. When you woke up early that morning and the sun first rises over the trees, you feel that warm glow on your face and you know everything is okay. It’s these reasons I feel so fortunate to be part of such an amazing sport and why I want to do my best to help pass it on to others. Weekends aren’t meant to be wasted on the couch with Netflix or racking up points on the Xbox. People should be getting off that couch and out into vast playground mother nature has provided us. Hiking kilometers of river bank in search of that perfect pool that holds the fish a lifetime. Get out into the mountains with your best bud, whether that may be your dog, your brother, your sister, your childhood friend. The memories made while out in the woods will last a lifetime. They our moments in time that you will never forget, always look back on and will push you back out the door every chance you get to make more of them. We as fishermen need to never discourage anyone from these memories. Now teaching and mentoring doesn’t mean giving up every secret you have amassed in your fly fishing adventures; somethings will just die with us and that’s okay. 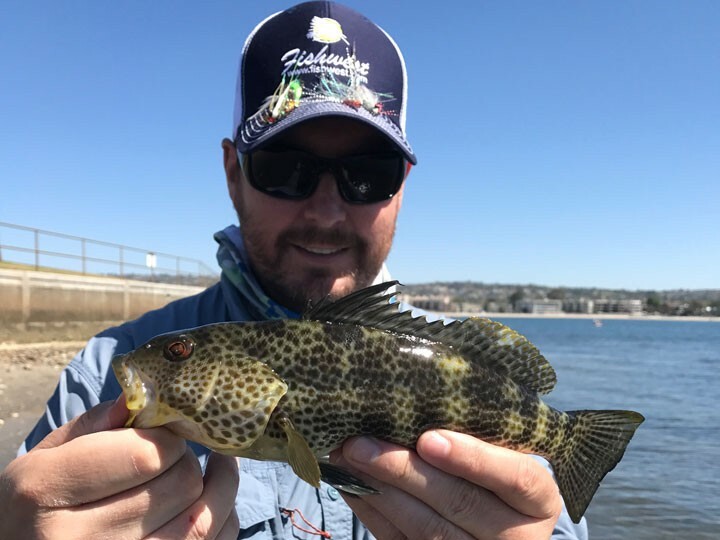 What I do think we need to do is be stewards of the sport and help teach new anglers the small things that often get overlooked such as fish handling, targeting spawning fish, barbless hooks, etc. I know, that I would like to leave our sport, rivers, lakes and fish a little better off than I might of found it. I think the best way to do this is to pass on what we have discovered and been taught in such a way that it will be well received by the next angler. I hope reading this may have changed some minds and people will take on those roles of teacher and mentor instead of just blasting some kid on Facebook. So next time someone asks you what fly you are slaying on, maybe open your box and share one, I guarantee that person will remember that forever. I know I did when a random guy from Montana gave me a hopper that was slaying one early fall day. The first rule of fly fishing is NOT don’t talk about fly fishing, it’s be a steward for the sport we all love. Hailing from the interior of British Columbia Dana has been fishing in one form or another for most his life. He saw the light a little over 10 years ago and has been exclusively fly fishing ever since. Growing up on the banks of the largest river in the Pacific Northwest and possibly the world’s largest tailwater, the Columbia River, there was no doubt fishing was going to be a major part of his life. 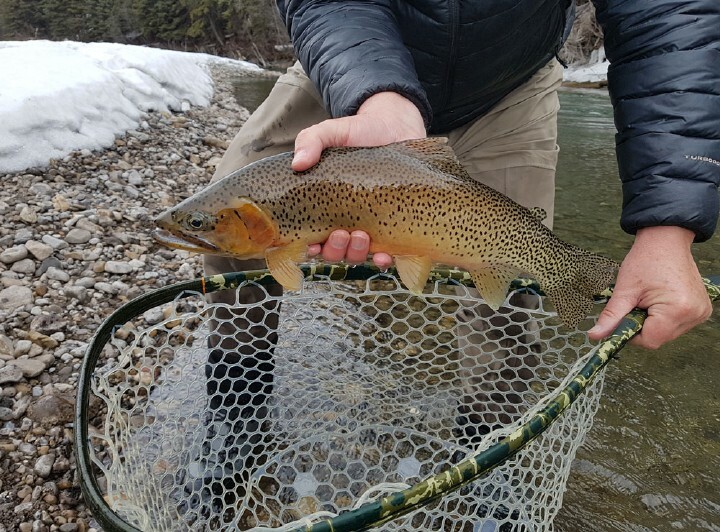 He often travels from the West Kootenays to the East Kootenays in order to fish with friends on some of the best dry fly fisheries in Canada. Dana is an active member in a local fishing club which promotes fish conservation, getting new people on the water and just having a good time. When Dana isn’t on the river chasing down trout be can be found at the tying bench honing his tying skills, working on new patterns or recording tying tutorials. 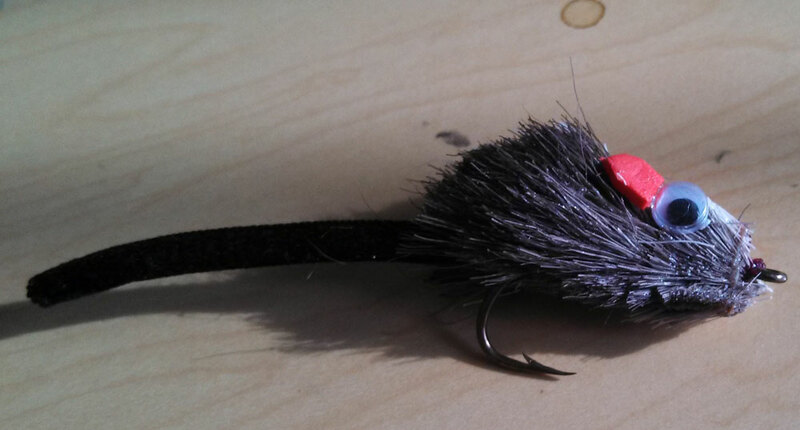 So, You Want to Fly Fish in the Winter?